Faythe Freese performs a program of all-French organ works at Église de la Sainte-Trinité, Paris, including a world premiere by Naji Hakim. 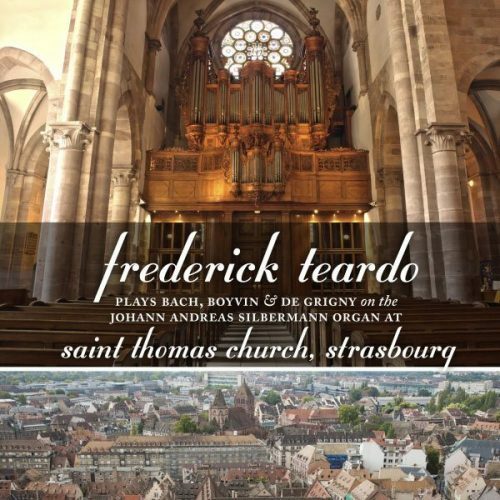 This recording features Faythe Freese playing the pipe organ at Église de la Sainte-Trinité, Paris. Faythe Freese , internationally renowned concert organist, performs an all-French program consisting of music by composers who have either a connection with the organ or with each other. The program includes a recording premiere of “To Call My True Love to My Dance”, a work composed for Faythe Freese by Naji Hakim, organist of Église de la Sainte-Trinité from 1993 to 2008. Additional organ works are by Guilmant, Langlais, Messiaen, and Tournemire. Faythe Freese plays Alexandre Guilmant’s “Caprice” from his Opus 20, which is significant, since Guilmant was the organist at Église de la Sainte-Trinité for thirty years. An extensive booklet contains a lengthy article about the organ and a short biographical essay on the artist, plus numerous photographs. The recording was made for JAV in the summer of 2008 by the noted recording engineer Christoph Martin Frommen.